It was another busy week on Autodesk Exchange Apps with updates of 11 apps and 1 new one. Other highlights include updates from current Revit Add-ons advertisers ArchVision, RevitWorks, and Xrev, as well as former advertiser PopIcon Software.This week also saw updates to the popular and free HatchKit add-in. 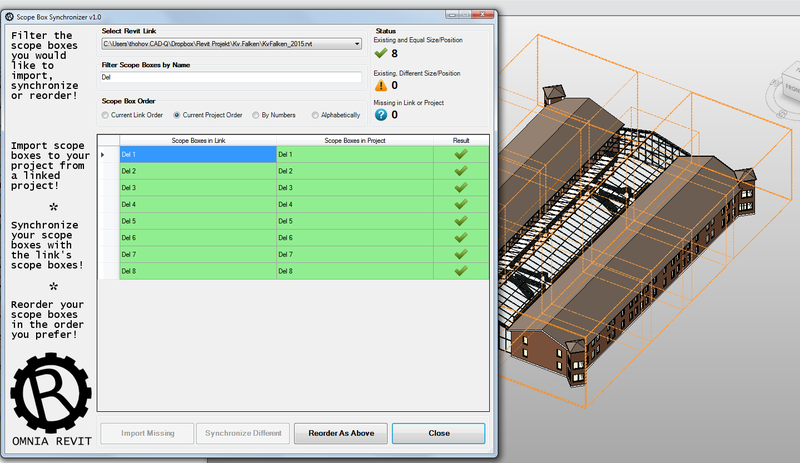 DoNotPlot allows you to pick categories and subcategories that will not plot/print for each Autodesk® Revit® model. 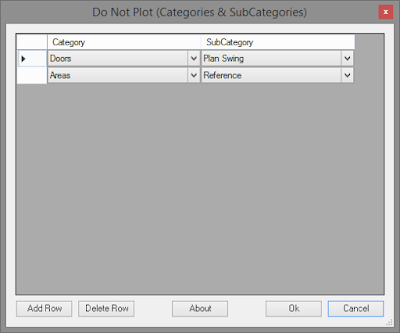 This addin will store the categories and subcategories you choose into your Revit model. Whenever you or anyone else with this addin installed prints, the categories and subcategories will be turned off and therefore not printed. The best use of this addin, is to create your own subcategories inside your families and put content on them that you do not want to print but want to be visible in your model. For example: create a subcategory called "DONOTPRINT" and place some content you wish to not print onto that subcategory. Then add the "DONOTPRINT" subcategory to the list in DoNotPlot addin. Then everytime you print, the "DONOTPRINT" subcategory will be turned off during printing. The free DoNotPlot add-in is brought to you by Troy Gates. Further reading: Other printing-related add-ins. Nearly a decade ago, Rob Snyder of Bentley Systems, when speaking to me about Bentley’s then groundbreaking computational modeling product Generative Components (GC), told me, “I foresee a day when people will deliver computational modeling definitions as add-ins rather than traditional macros or apps.” I think that, with Dynamo, that vision is becoming a reality. 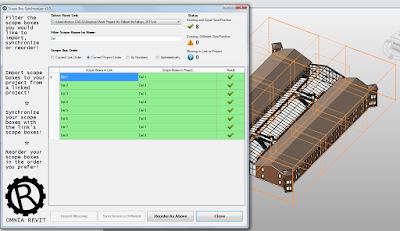 Luke Johnson recently presciently wrote in a post on his What Revit Wants blog that generative modeling tools excel at what their platform applications excel at. For GC+MicroStation and Grasshopper+Rhino, that’s advanced freeform modeling. For Dynamo+Revit, that’s leveraging, managing and documenting the “I,” or information, in "BIM." I first saw an example of Dynamo being used to manage BIM information when I posted about the BIM Troublemaker using Dynamo to link Revit with Excel. Lately, I’ve noticed a groundswell of other practical applications of Dynamo as evidenced by the following tweets, several of which come from a post on What Revit Wants. I previously posted about Enscape, the real-time 3D rendered walkthrough add-in for Revit projects. Here's a nice demo video of the application in action. Updated 6/18/2015 to include an Editor's Choice Award. Congratulations to the folks at Inreal Technologies GmbH! Pretty slick! And Enscape is priced at just 45.00 USD monthly. Now that's compelling. A trial version of Enscape can be downloaded from Autodesk Exchange Apps or from the Enscape website. The Import/export Excel allows you to synchronize data back and forth between Revit and Excel. It also means you can alleviate the data management process by delegating tasks related to the model to team members that don’t use the model. You can export schedules as well as Revit standards to manage them in Excel. 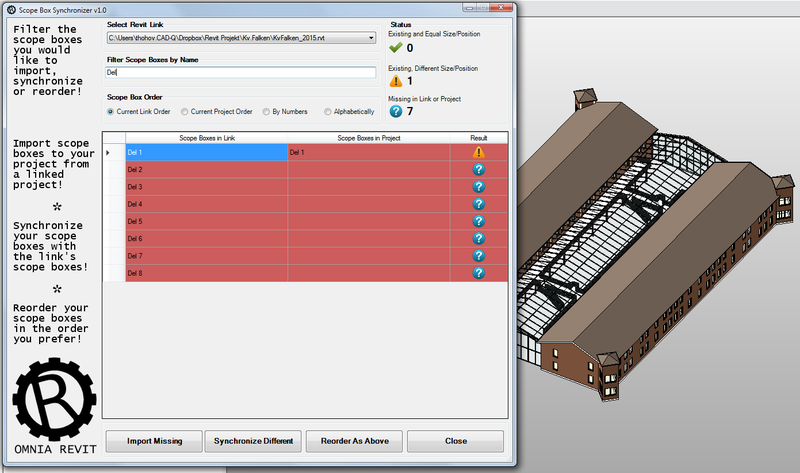 Once modified, you import the data back to Revit and your schedules or standards are going to be updated. 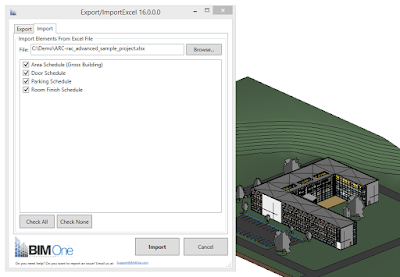 The free Excel Export/Import add-in is brought to you by BIM One. There's more information available on the BIM One website, and on the Autodesk App Store. 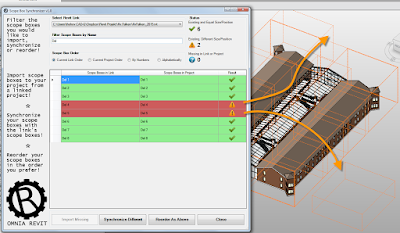 IMAGINiT Utilities for Revit 2016 supports only Revit 2016 products. We do also offer versions for Revit 2013, 2014 and 2015. The IMAGINiT Utilities are available in either Standalone or Named-User versions. Automate the creation of dependent views in your model, based on an example set. This utility handles view naming, crop regions, splits and more. Pipes in Revit can be finicky – if two segments are out of alignment by a tiny fraction of an inch – they cannot be joined together. This tool provides a wide variety of ways to adjust pipes so that they will trim together, and you can keep on piping. *These tools only in IMAGINiT Utilities for Revit 2016, which will be available beginning June 19, 2015. 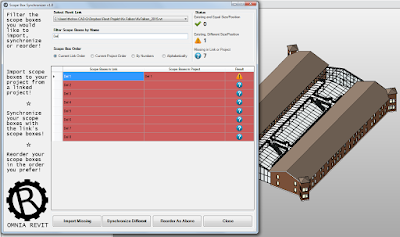 View Cleanup - Helps reduce file size and reduces the time you need to clean up excessive views from Revit models. It’s especially helpful when working with multiple consultants. 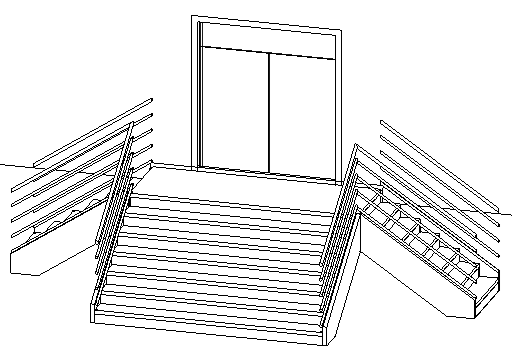 From May's Revit Add-ons statistics, it seems that stairs continue to be an area of potential improvement for Revit add-in developers. The following descriptions are those of the add-in developers. Fourteen kinds of the most common stairs are supported. 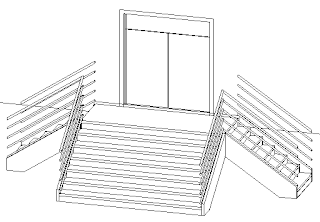 Stairs can be created across more than one level. Levels with different intervals are supported for stairs creation with Stairs Builder. Landings and Openings can be created automatically. With a whopping 27 new or updated add-ins, the week of June 7, 2015 was one of the busiest I've seen on Autodesk Exchange Apps in the 8 months that I've been publishing these weekly roundups. The free Scope Box Synchronizer is brought to you by Omnia Revit. Results Connect is an application that allows designers and engineers using Autodesk Robot Structural Analysis to seamlessly access data and results with Microsoft® Office® Excel®. This tool allows, with simple formulas available in Microsoft® Excel®, to obtain information about a structure model defined in your project. You can also use formulas and Microsoft Excel tools to create a data table for structural elements from the project, and display these data as line graphs, histograms, and charts. Log in to Autodesk Account to access this subscription entitlement. I've always tried to make advertising on Revit Add-ons and Civil 3D Add-ons inclusive to all sizes of organizations, and to all budgets. 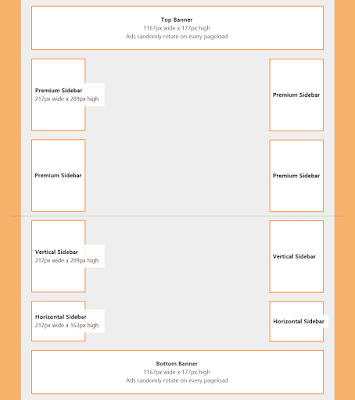 In the hopes of furthering this, I've added a new advertising option: Horizontal Sidebars in a 4x3 aspect ratio instead of the 3x4 aspect ratio I've used exclusively for sidebar ads previously. There's an example of a Horizontal Sidebar on the site: The Building Coder ad in the left-hand margin. The Top and Bottom Banner ads have also changed, but in a different way. 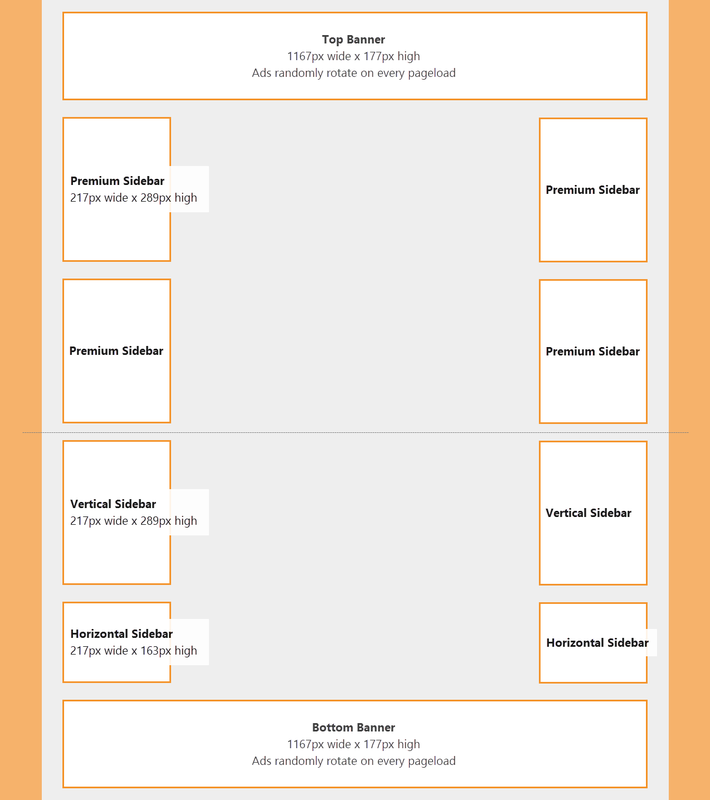 Previously, I rotated Top Banner ads monthly. This was rather ungainly, and didn't offer the freshest user experience. I recently did a little programing (shocking I know), and the Top and Bottom banner ads now load a random ad from the rotation with each pageload.